What is ager? Why do we get angry? Why do some of us seem to have such a hard time managing our anger, while others appear unmoved by it? Is anger ever OK? These are some of the questions that many people who have participated in the anger-management workshops, groups and individual sessions we offer at Family Counseling and Coaching of Miami often ask themselves. At Family Counseling and Coaching of Miami, we provide individual psychotherapy with a focus on anger management, as well as group therapy sessions (total of 10), and life coaching workshops and seminars (as requested by institutions, schools, churches, etc.) that are aimed at helping participants gain a deeper insight into stress, anger and emotional management. As they learn to manage their thinking and their physiological responses to disturbing stimuli , the also acquire a series of tools and strategies for the effective managment of their behavioral responses. · What is the biology and psychology of anger?
. What can we do to recognize the physical and physiological signs of anger in self and others? · What are some of the most effective strategies for channeling frustration and other emotions in a successful manner? 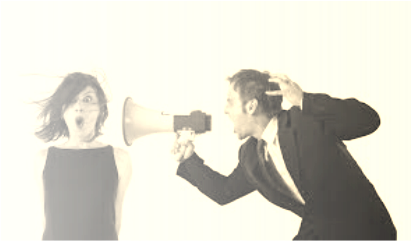 · How can we express fustration in productive ways (assertive vs. aggressive, passive and passive aggressive)?
. How can we resolve conflict in a more successful manner? Group sessions run for 10 week-cycles. They usually include up to 10 participants and graduates from the group receive a certificate of completion at the end of the last session. Workshops are often a one shot four-hour interactive event that can be brought to the company or institution that requests it. Finally individual sessions are recommended when participants are evaluated to need a more personalized approach that can help uncover obstacles to anger management.